We feel badly for neglecting you so we decided to do a two part series on this Somerville icon, not only will we be rating their pizza – we will be rating both thick crust and regular crust! 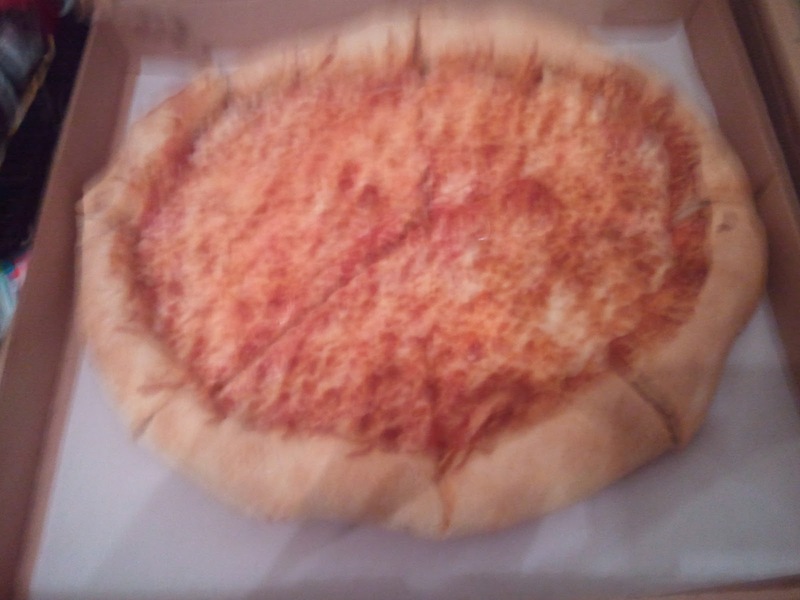 Pizza not actually blurry in real life. thing was going to be thick for some reason. There is a great even coating of cheese with nice crispy bits. It looks tasty. Elizabeth's Comments: A bit greasy, not much else to say. Elizabeth's Comments: Warm, not super hot. crust on the edge is. 2 minutes in the oven. Miro's Comments: Did I mention it has a very thick crust? $1.50 is probably not worth it.